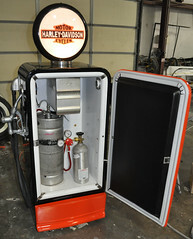 Harley Davidson gas pump kegarator. 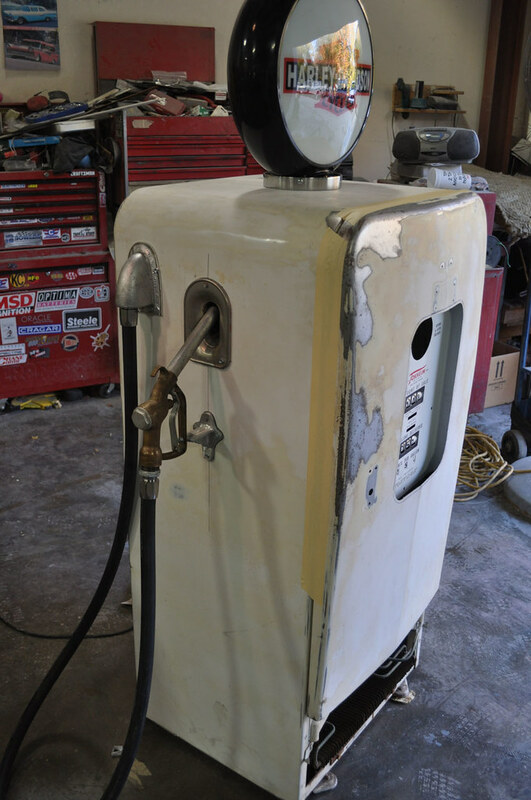 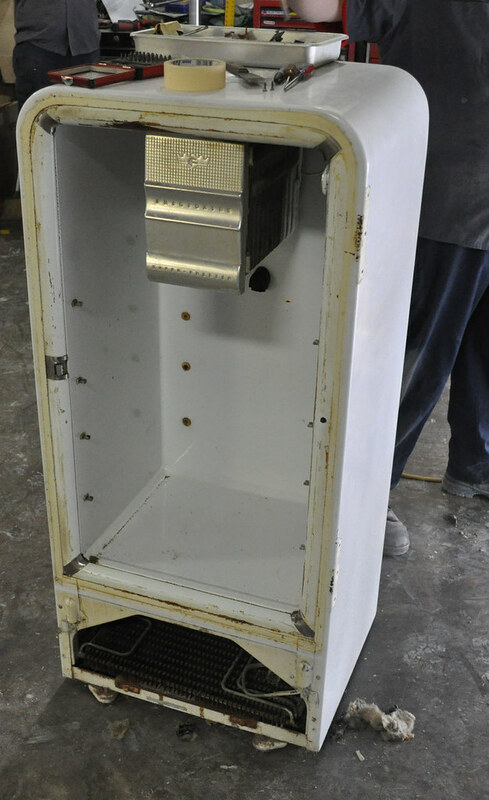 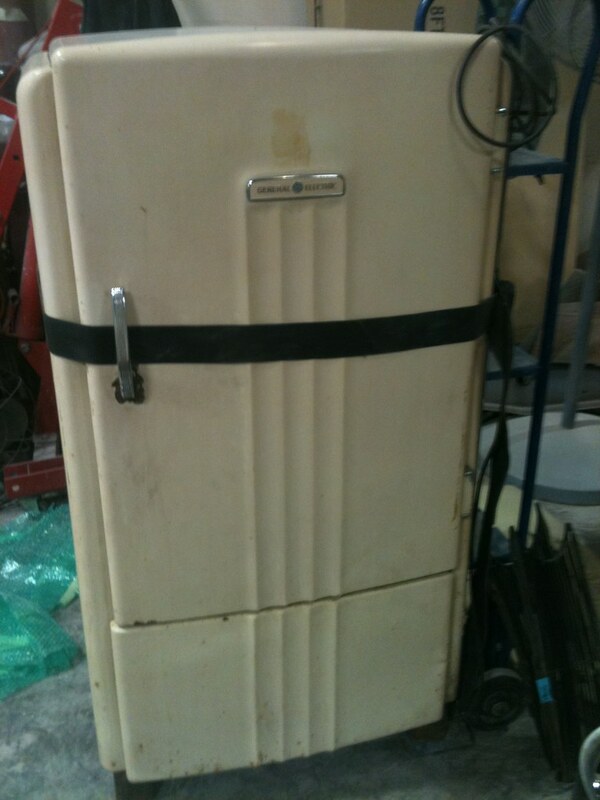 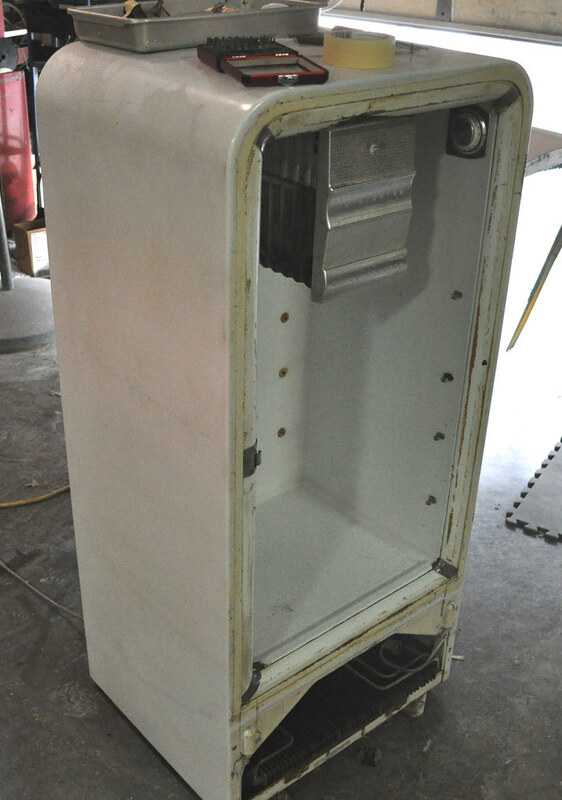 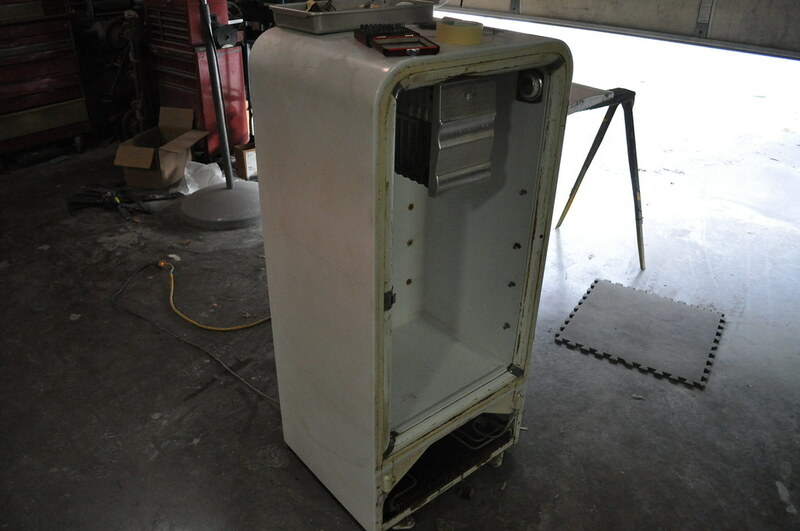 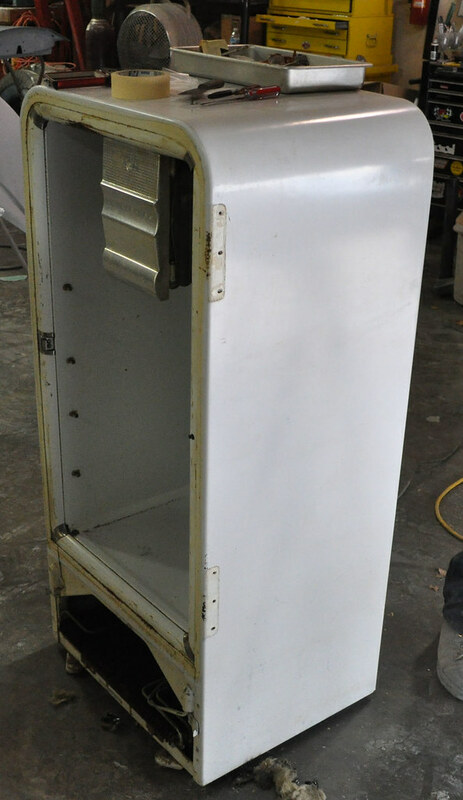 We converted this vintage fridge into a look a like gas pump kegerator. 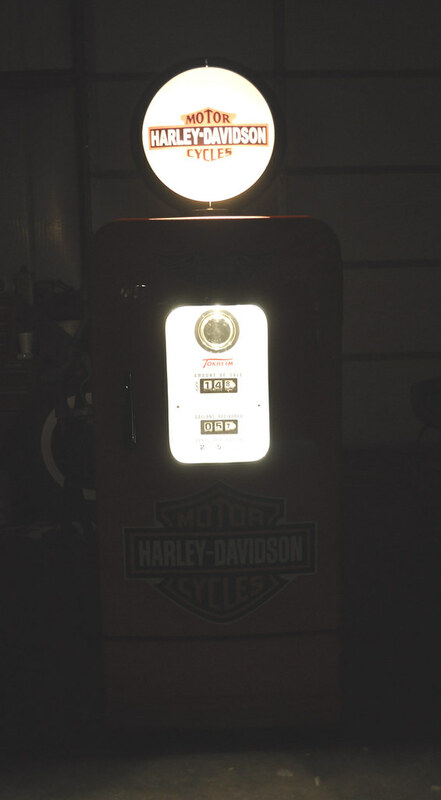 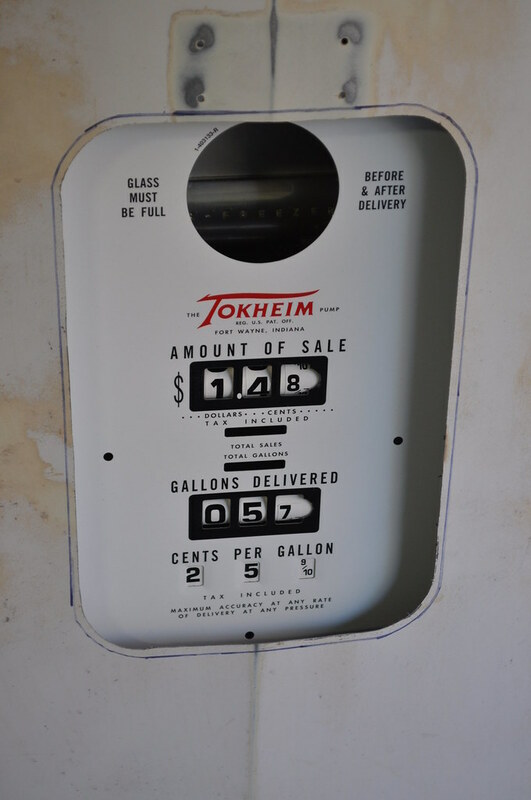 That’s right this is not a gas pump, Its a refrigerator dressed up to look the part! 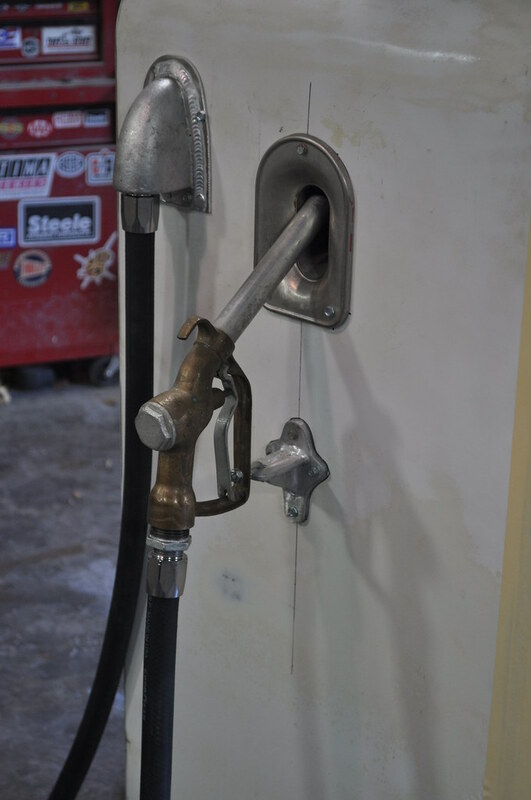 We installed all of the appropriate food service lines and equipment to connect to the a small keg of beer and vend through the pump handle. 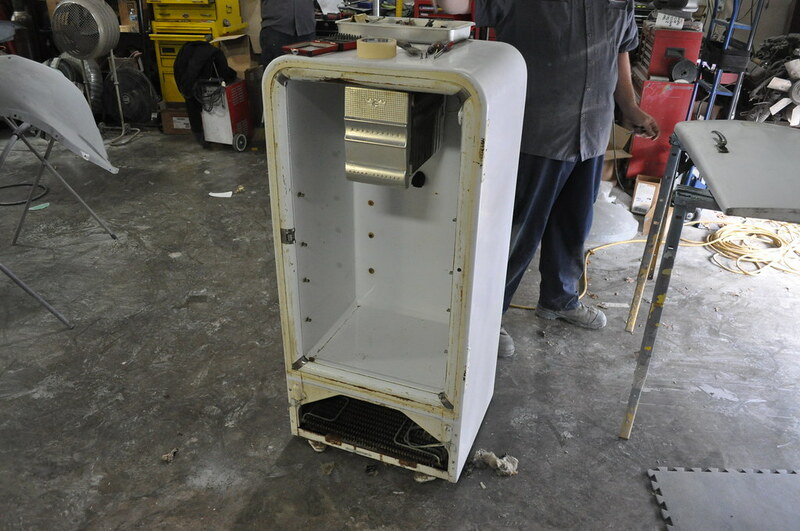 We install the mounting and wiring for the globe on top, made and installed the vending window with LED lighting. 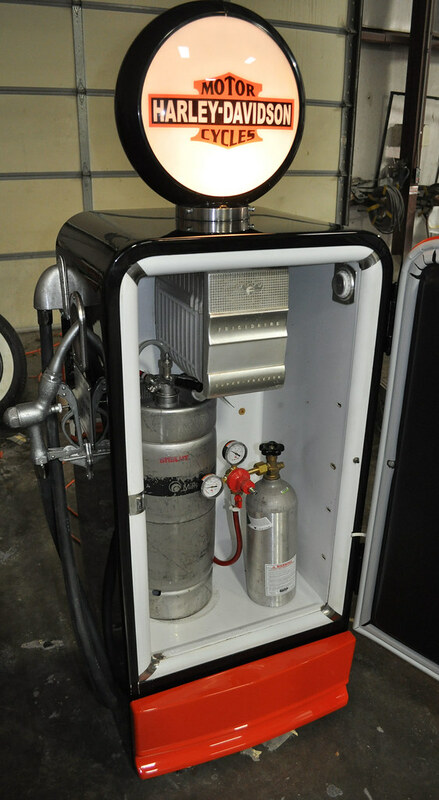 All of the lighting is ran independently of the cooling system so you can turn off the lights and still keep the beer cold. 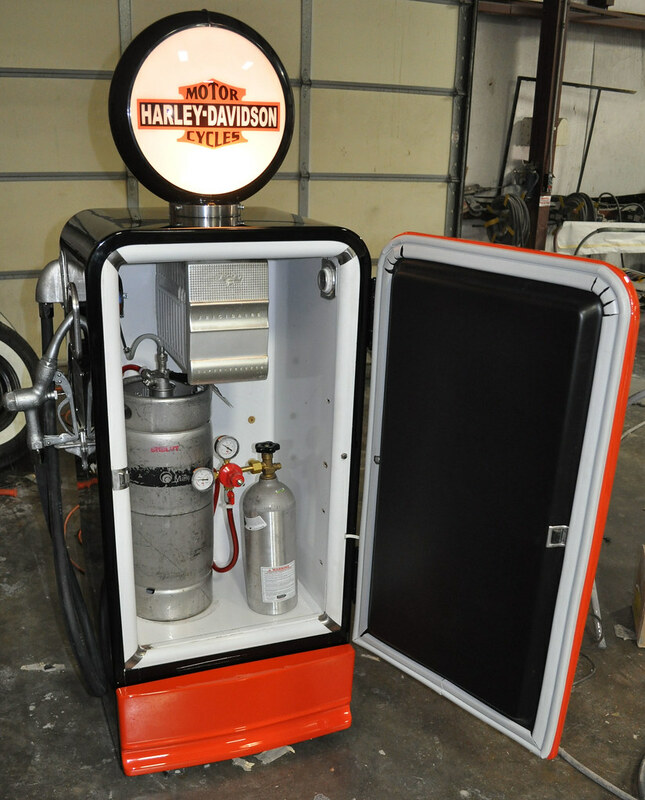 The client chose a Harley Davidson theme, but we are able to complete this project with any theme, branding, color scheme, etc. 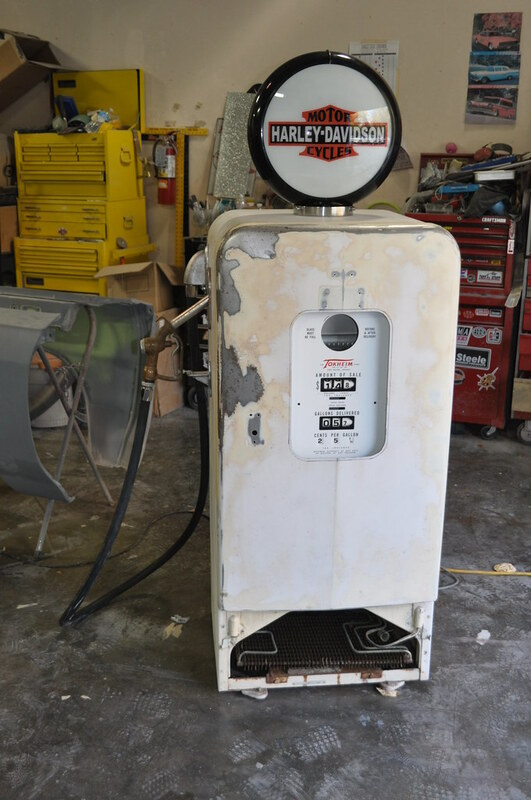 that you might want. 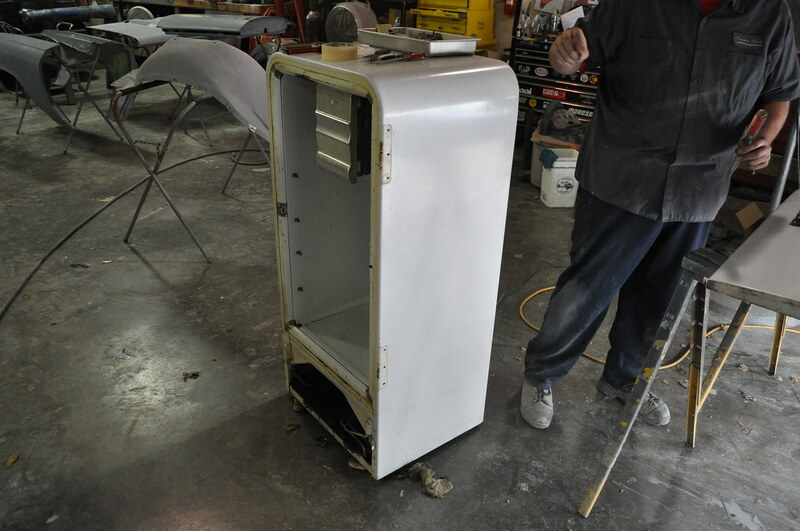 We aren’t afraid to take on these kinds of projects. 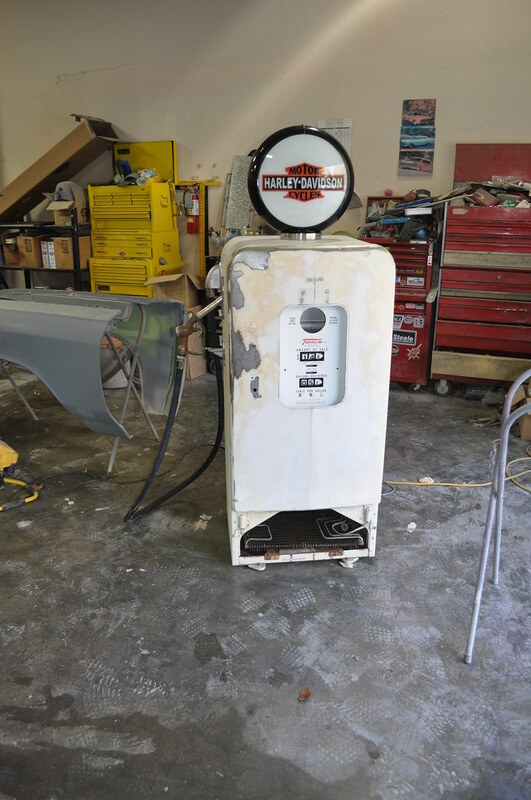 Take a look at some of the other project here in the Vintage Restorations section of our web site not everything is a stock (back to original) restoration there are a few custom made items to look at. 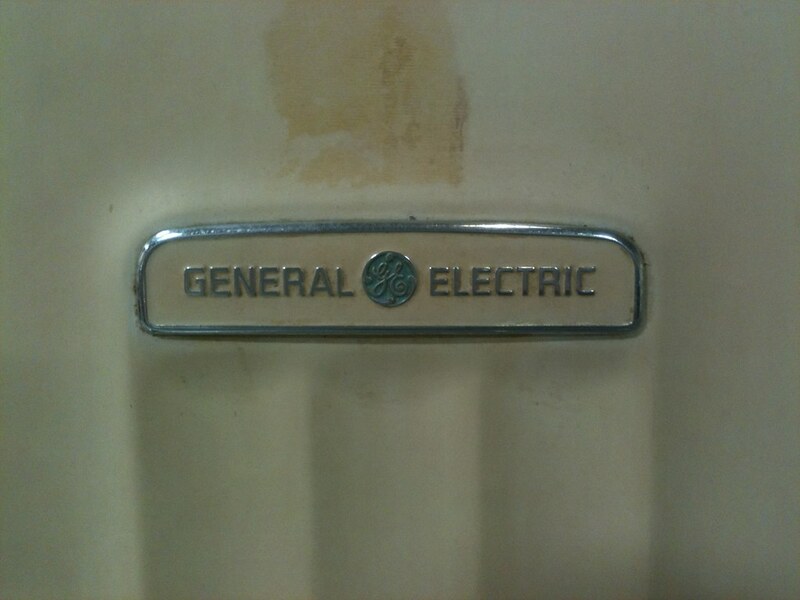 Like a metal flake rocking chair or a gas pump that dispenses soda and much more.